November 8, 2018 (San Juan, PR) – The Puerto Rico Teachers Association (AMPR), the United Federation of Teachers (UFT) and the NYC Department of Education joined the National Puerto Rican Day Parade (NPRDP) Organization to recognize and award scholarships to a group of 32 Puerto Rican students in the Island. The scholarship program benefits both Puerto Rican students in the island and in the mainland to help them afford college and continue their undergraduate education. “We are grateful to the NPRDP for making possible this opportunity for our students. 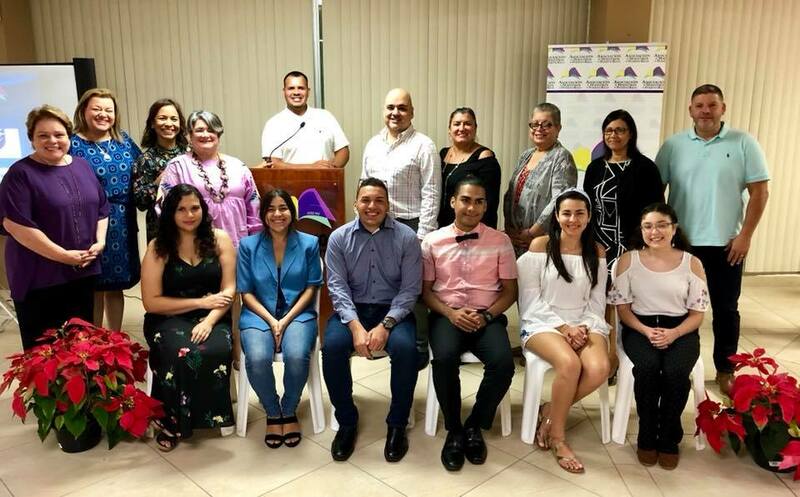 In a moment where many Puerto Rican families are facing many challenges and difficulties caused by the economic situation, these scholarships provide a tool for students to continue their education and thrive”, said Aida Díaz, president of the AMPR. The $200,000 scholarship fund of the NPRDP awards 100 scholarships of $2,000 each to Puerto Rican high school students going into college. The initiative is possible thanks to the support of companies, organizations, and unions like the American Federation of Teachers (AFT) and the UFT. “Kids are our future and higher education helps them succeed. With rising tuition at the University of Puerto Rico and other higher education institutions, this aid provides vital support and encourages its recipients to stay in school and pursue a professional career. As a union, we care not only for the well-being of our members but also for the education and formation of our students”, affirmed Evelyn De Jesús, Vice President of the UFT. Nilda Oyala, Chairperson of the Parade Scholarship Committee, expressed her gratitude to the UFT and the AFT for their financial and professional support in the review process to help select the scholars. The announcement took place during an award ceremony hosted by the AMPR at their headquarters in San Juan.